Book Review: A Happy Ending in Brooklyn? So a few weeks ago I shared my reading list for January with you. 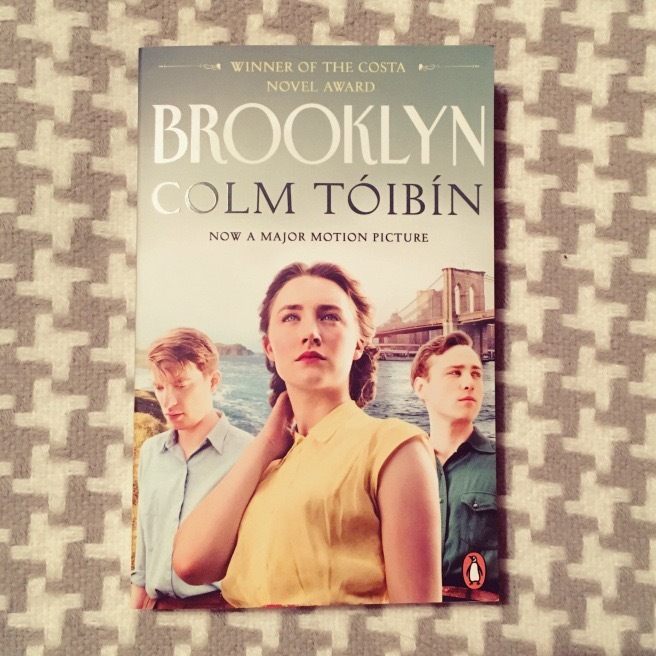 I’m working my way through my three book choices and last night finished reading one of them, Brooklyn. Okay. Can I just say first off, I was not expecting that ending! Anyone else?! It almost angers me, don’t get me wrong I loved the book, but I’m left with so many questions, there’s so much more I want to know! But that is the power of a great book isn’t it? I don’t know how I missed this when it was first released. I love Colm Tóibin’s writing style, he has an undeniable talent for capturing his readers the instant their eyes hit the first page. He describes things exactly as we think and feel them, and it’s hard not to become engrossed in the characters and feel like part of their lives. Eilis is a young girl who ultimately just wants more for her life and her future. She has adventures and makes mistakes, and duty calls her in many ways meaning what she wants becomes secondary to what she must do. Isn’t that so true for many of us? What would life be like if we all lived exactly as we wanted to – followed our hearts and not our minds, and didn’t have to worry about money, jobs, bills and responsibilities? That’s a world I’d like to see. But unfortunately things don’t work like that. That same life is hard sometimes, it throws us curve balls, and obstacles, and worries and stresses and illnesses, and we end up doing the things we feel we should do, or need to do, in order to get by. I am a free spirit in some ways, but not anywhere near as much as I’d love to be. The big question for me in the book is whether Eilis made a huge mistake, or the perfect choice? What if Eilis hadn’t got on the boat at the end? What if Colm, what if?! I won’t say anymore for fear of spoiling it for those of you who haven’t read the book because I’m told the movie portrays it all in a very different light. And like many Hollywood movies, has a happy ending. Another reason why I’m so glad I read the book first, as I always am. That’s not to say that for some, the book ending is a happy one. I just didn’t interpret it that way, from my perspective Eilis was just doing her duty rather than doing what her heart told her. Have you read Brooklyn? If so, let’s chat… I need someone to discuss this with. Stat! Next > Friday Night Links! Meet & Greet! Yep I was left angry after reading it and annoyed did not want to see the movie I was draged to cinema.